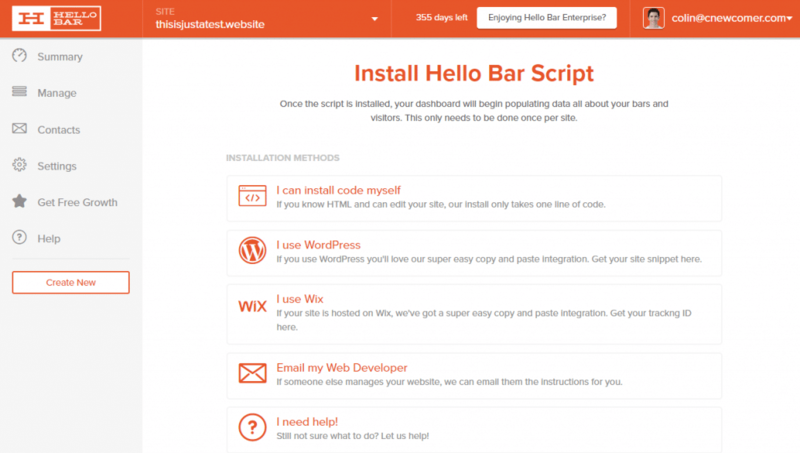 Considering using Hello Bar on your site? 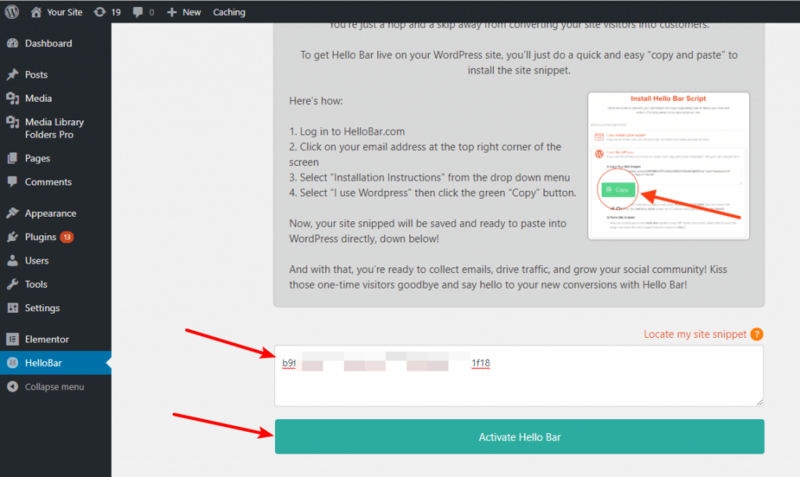 Read my Hello Bar review for a hands-on look at the pros and cons of this popular freemium tool. 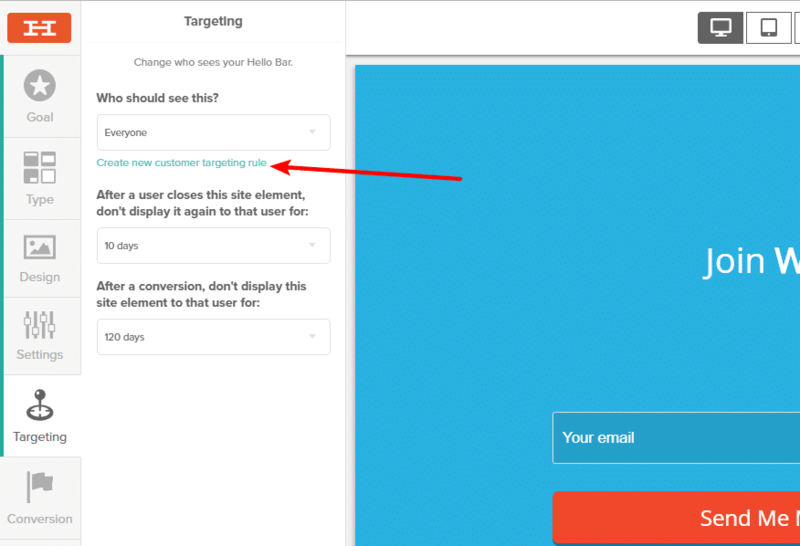 In general, I enjoyed the depth of functionality that Hello Bar offers, especially when it comes to the targeting rules that really let you drill-down into exactly who sees your messages. Despite its origins as a notification bar tool, Hello Bar now does a lot more than just notification bars. You can use it to grow your email list, promote offers, get more social engagement, drive phone calls, and a whole lot more. And while you certainly can accomplish that using notification bars, Hello Bar also gives you access to modal popups, full-page takeovers, slide-ins, and more. I’ll show you how it works to get set up with your first Hello Bar campaign, as well as what all you can configure. I’ll go with Collect Emails for this first example, but each goal gets its own set of options, which I’ll try to show you a bit at the end of this review. 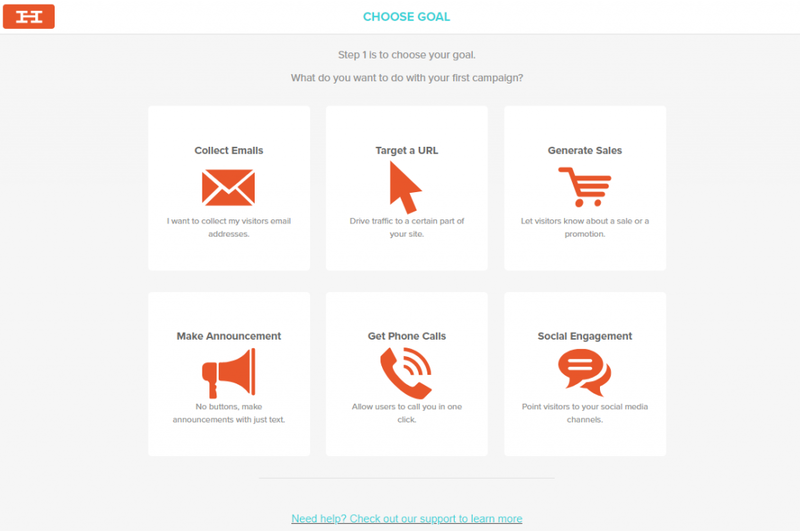 Once you choose your goal, you can choose what type of notification to use. I’ll go with the recommend Page Takeover option. Basically, if you click that button, Hello Bar will try to automatically match its styling to your actual site’s design. Pretty neat! You still might want to go with one of the pre-made templates, though, as you can guarantee they’re built to look great. 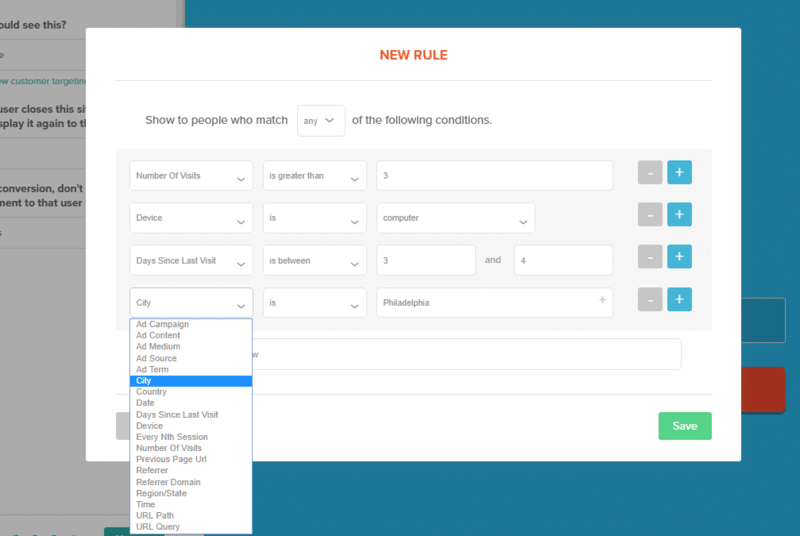 Manually adjust styling for the background, button, form fields, etc. 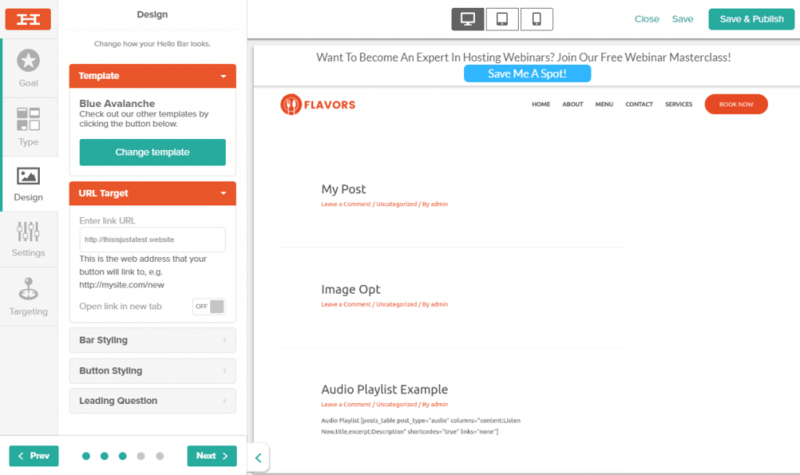 The interface is not drag-and-drop, but it does feature inline editing. What I mean by that is you can’t rearrange the elements using drag-and-drop. But if you want to edit any of the text, you can just click on the actual design and start typing, which is really beginner-friendly. Editing the button text is just as simple – you just click and type. The toolbar that you get when inline editing is pretty detailed – more so than other tools you might be familiar with. It’s really easy to change up colors and alignment. And you can even insert emoticons for a more playful approach. I’ve never seen this implementation before. It’s something that’s not only unique, but I could see boosting your conversion rate because of the Zeigarnik Effect. That pretty much wraps up the design settings! The Targeting tab is where things start getting fun. But the real magic is in that Create new customer targeting rule link. There, you can add one or more conditions that must be met in order to display the form. You can either require all of the conditions to be met or you can display the form as long as any one of the conditions is met (i.e. AND vs OR rules). The depth of these rules is one of the most powerful things about Hello Bar, in my opinion. They really let you get creative with pinpoint targeting personalized messages. Once you finish up with your targeting rules, you can choose what happens after a user converts. 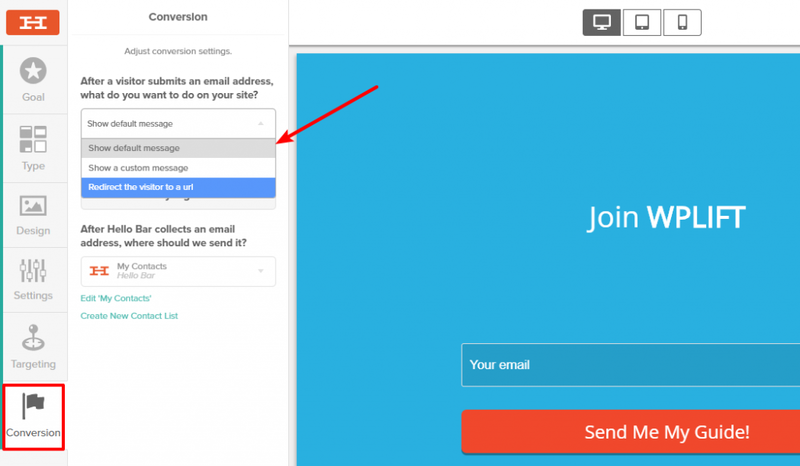 Once you finish with all of your settings, you can click the big Save & Publish button to make your form live. 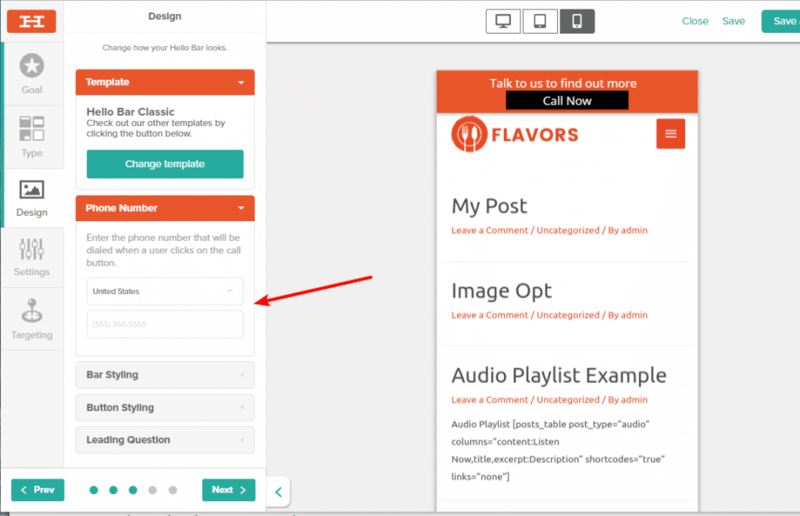 And just like that, your form/notification will start working on your WordPress site. The Analyze tab also provides aggregate data for all your different campaigns. Once you click Create Variation, it will take you back to the same editor you saw above where you can create a new variant. Finally, let me show you one more quick thing. 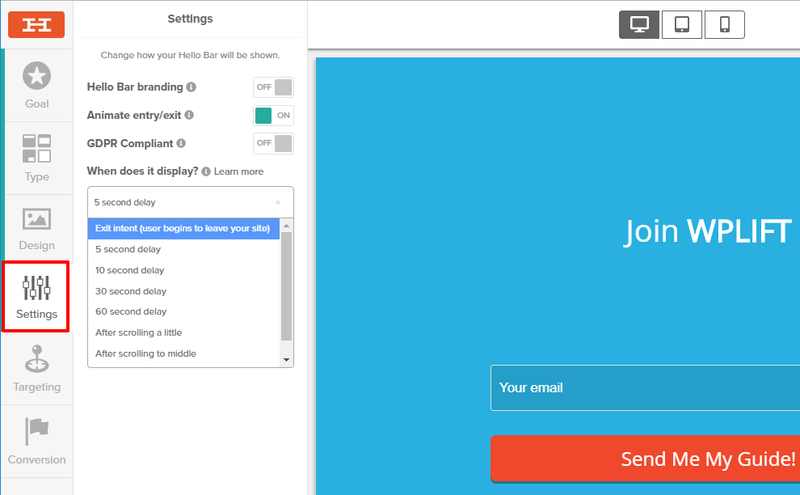 Everything above applied to building your email list with Hello Bar. But as you saw in the onboarding process, you can actually do a lot more than that. And if you choose those other goals, you’re going to get different, and equally helpful, options. You get the idea! The different goals can all be customized in their own unique way. Functionality wise, I’m a big fan of Hello Bar. Hello Bar makes you register to see its prices which is…well, it’s annoying. Dear Hello Bar team, I don’t care if hiding your pricing like this boosts your conversion rate or something – you have a good tool, just tell people how much it costs upfront. So here are the details on how much Hello Bar costs (if anything). 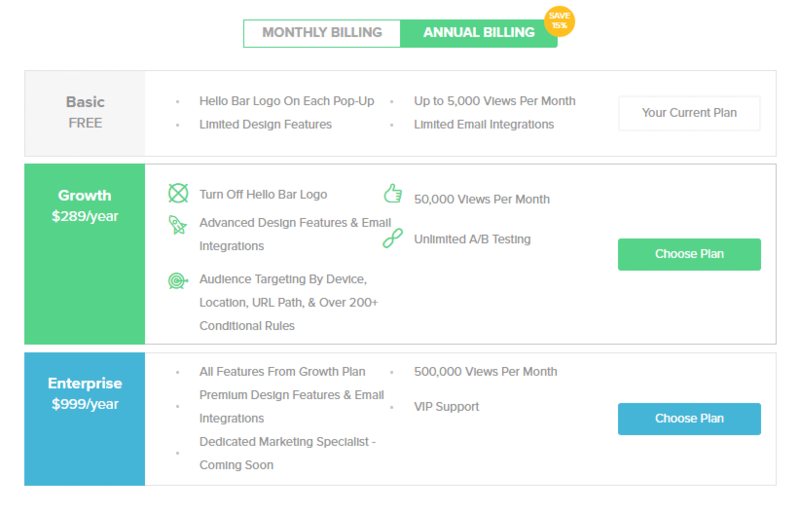 The free plan gives you limited design options for up to 5,000 page views per month and includes the Hello Bar branding. Growth – $289/year or $29/month. 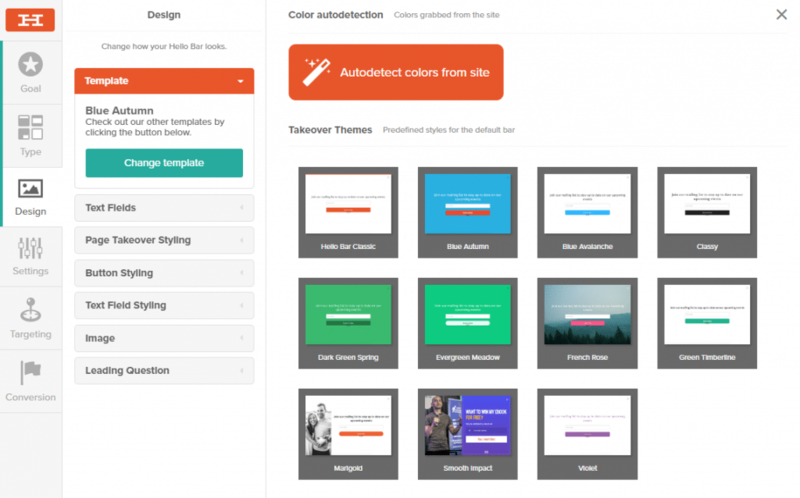 More design options, advanced targeting, A/B testing, and 50,000 views per month. 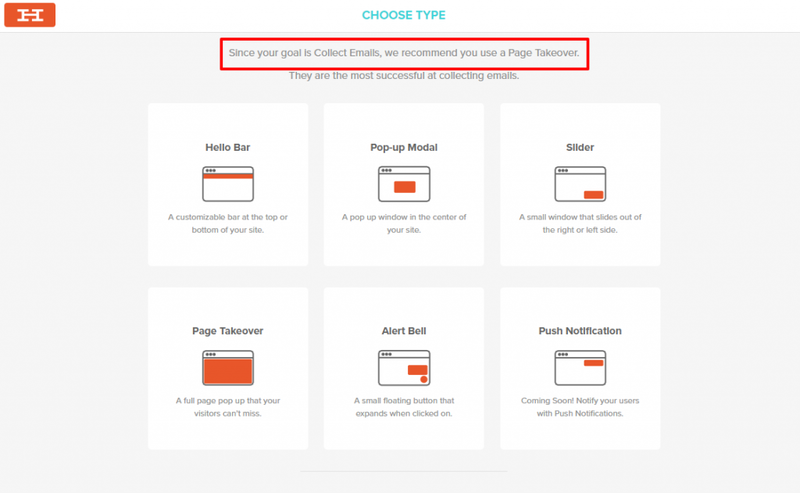 I like Hello Bar because it has the depth to rival dedicated email opt-in tools…while also letting you do other stuff like promote offers or drive phone calls. That multipurpose nature means you’ll be able to use it in a lot of different ways. And the detailed targeting rules open up even more possibilities to build creative, personalized implementations. The free plan is a little limited, especially for a higher-traffic site. But if you can fit one of the paid plans into your budget, I think it’s a great way to grow your email list, promote new offers, or do any one of the many other goals/campaign types that Hello Bar supports. Colin Newcomer is a freelance writer and long-time Internet marketer. He specializes in digital marketing, WordPress and B2B writing. He lives a life of danger, riding a scooter through the chaos of Hanoi. You can also follow his travel blog. WordPress Themes That Empower over 500.000 Customers. 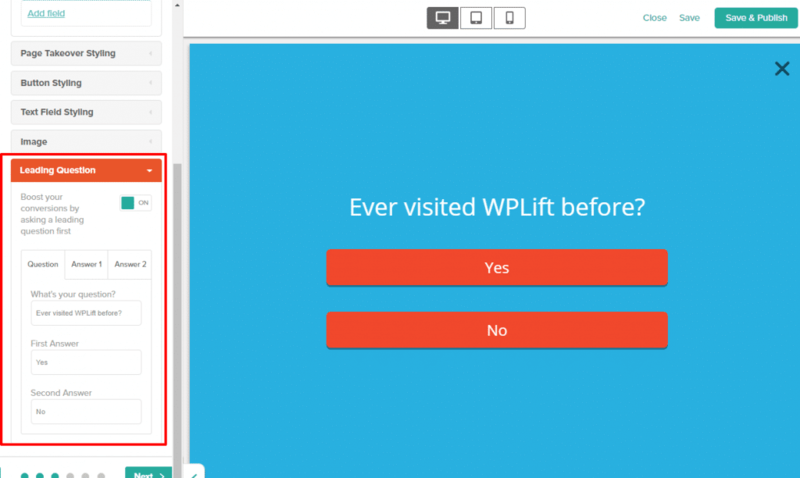 Speed up your WordPress site with the no. 1 WordPress Hosting! Join 17,000 others who receive our Weekly News WordPress newsletter.